Easy Recipes from Your Garden Using AAS Winners! Jonathan Bardzik, culinary storyteller, entertainer, and horticulture industry veteran, presents delicious, easy-to-make recipes featuring AAS Winning edible – vegetables. Enjoy this delicious cherry tomato AAS Winner Fantastico in this easy-to-make Italian Sweet and Sour Sauce. Your Family is Going To LOVE It! 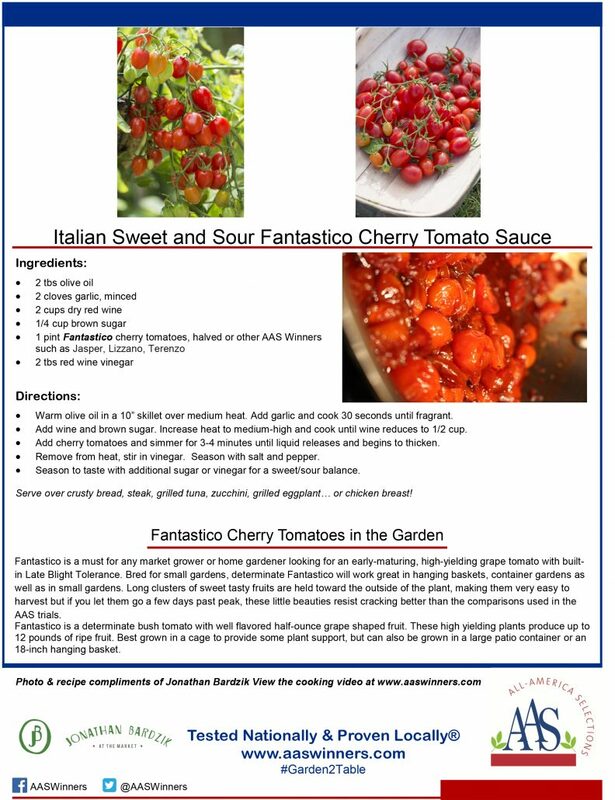 Plant AAS Winner Fantastico F1 in your Garden and Enjoy This Recipe All Summer Long! 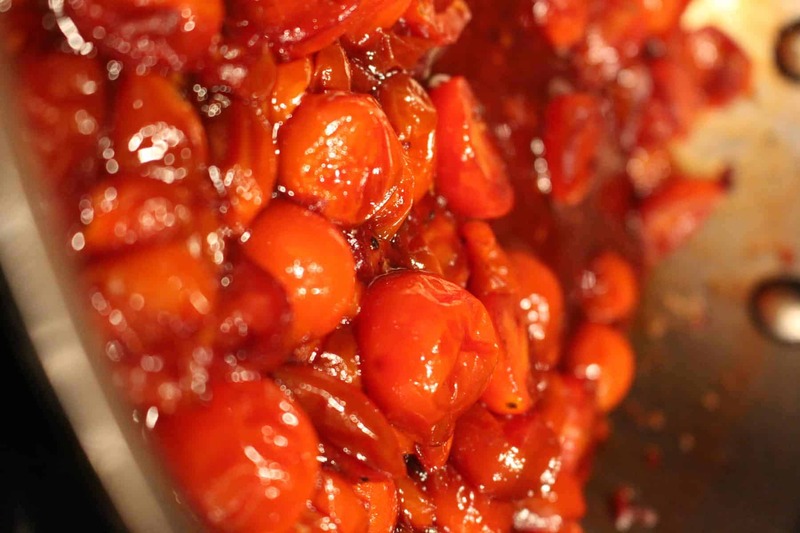 Serve this delicious sauce over crusty bread, steak, grilled tuna, zucchini, grilled eggplant or chicken breast! Fantastico is a unique determinate bush tomato with well flavored half-ounce grape shaped fruit. This high yielding plant produces up to 12 pounds of ripe fruit. It is best grown in a cage to provide some plant support, but can also be grown in a large patio container or an 18-inch hanging basket.